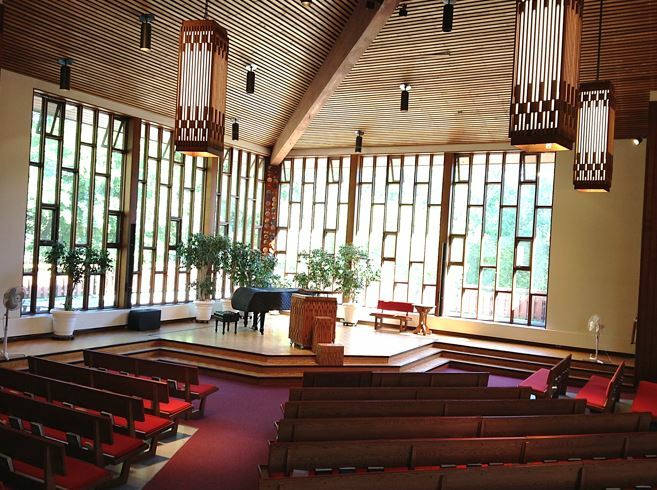 First Unitarian's landmark building with its soaring spire is a well-known Ottawa location for Rites of Passage, lectures, music performances and recitals, and many other types of events! 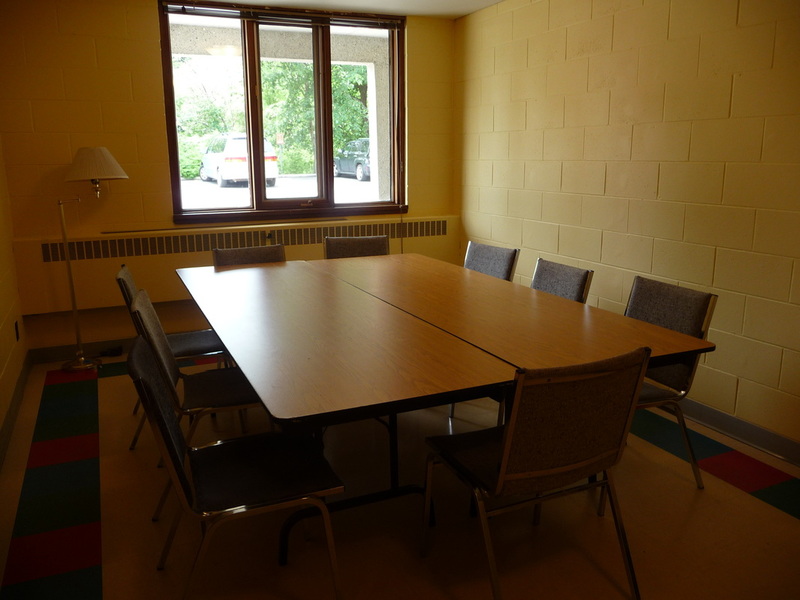 We rent a variety of spaces--from small to large--to individuals, groups, and organizations. In addition, we provide ample free parking and handicapped parking spaces, a system to help the hard-of-hearing, an elevator to all levels at the west entrance by the parking lot, cut-away curbs for easy access to the building from the parking lot and accessible washrooms on both levels. Contact Jen Brennan, Operations Manager, for details on renting our space. 613-725-1066, or omr@firstunitarianottawa.ca. 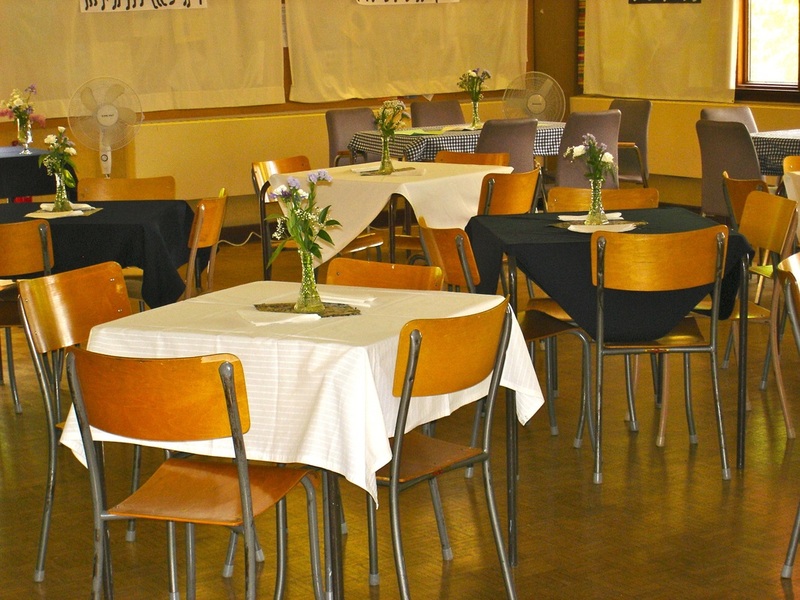 Many community groups and musicians use our main hall for events and performances. This hall with its soaring, wooden ceiling and beautiful view of surrounding wooded areas, is designed for grand occasions. Seating Capacity is 300. This bright, open hall, which is about 2200 sq. ft., is used for presentations, seminars, and luncheons. It has a kitchen adjacent to it and is close to the washrooms. It seats 100 people using rows of tables, fewer if the seating is café style. For a stand-up reception, the Hall holds 160. We have many rooms to choose from for use as classrooms, meeting spaces, meditations, art classes and much more. Classrooms range from 480 to 1080 sq. ft.